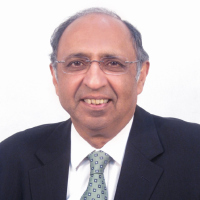 Mohan Mahajan studied at St. Stephen's College (Delhi) and The London School of Economics and qualified as a Chartered Accountant from the U.K. Subsequently he worked with Arthur Young (now Ernst & Young) in various countries including U.K., Spain, Luxembourg and Australia. He was a Principal with A.F. Ferguson & Co. (now merged with Deloitte) Mumbai for a short while before founding Mahajan & Aibara. 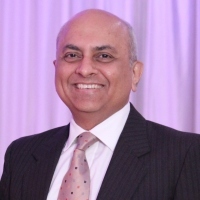 Mohan has over thirty years of experience and has specialised in the areas of corporate governance, enterprise risk management, internal audits, business process re-engineering; and performance improvement projects. He's an advisor to top managements of a number of large companies in India & abroad and his special focus is on retail & manufacturing industries. Mrugesh Shah was earlier in the Management Consulting Division of S. B. Billimoria (now part of Deloitte). Mrugesh is a first class graduate from Bombay University (B.Com.) and was placed 9th in the all-India merit list in the final examination of the Institute of Chartered Accountants. Mrugesh has over 25 years of experience and has specialised in business consulting assignments, acquisitions related advisory services, systems studies and management audit assignments. 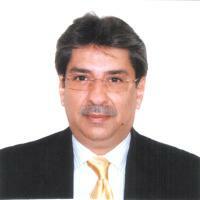 He has handled a large range of clients including multinationals and Indian public limited companies. Homi was the founder of Mahajan & Aibara’s hospitality consulting practice. He unfortunately passed away in October 2015. He was a qualified Chartered Accountant from the U.K.
Homi had 34 years post qualification experience in Consulting and had worked for and with some of the larger players in the Indian tourism, hospitality & real estate industries, food service providers, tour operators and transportation companies.